Many athletes neglect to properly recover after tearing down their bodies during workouts. Recovery is very important for the body to rebuild itself and to do so stronger than it was before so we can optimize performance. Without proper recovery, our bodies are more prone to injury, fatigue, “dead legs” and overtraining. What do I do to help promote proper recovery? 1. Stretching and Foam Roller…I stretch and foam roller after workouts targeting my quads, hamstrings, glutes, IT bands, hips, spine and calves. Foam Rollering my IT band after a “dress rehearsal” workout for my upcoming race. 2. 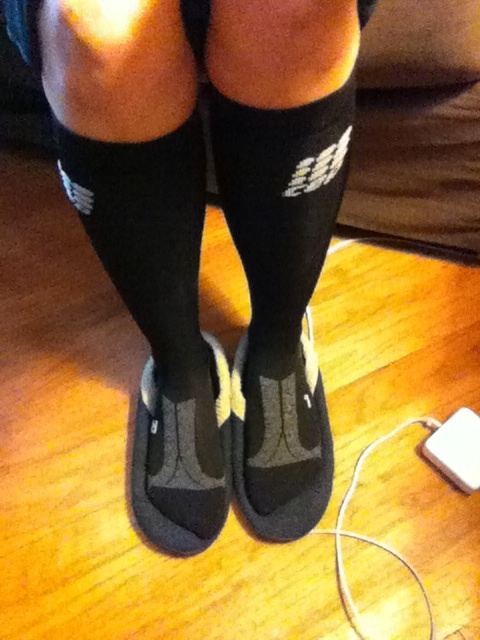 Compression Socks…After a tough workout I make sure to wear my compression socks to reduce swelling. CEP recovery socks…thinking of going to recovery tights soon!! 3. Refueling…I make sure to rehydrate and get some good protein in my system within the first 20 minutes after a tough workout. Peanut Butter Protein Balls and Chocolate Almond Milk seem to work quite well!! 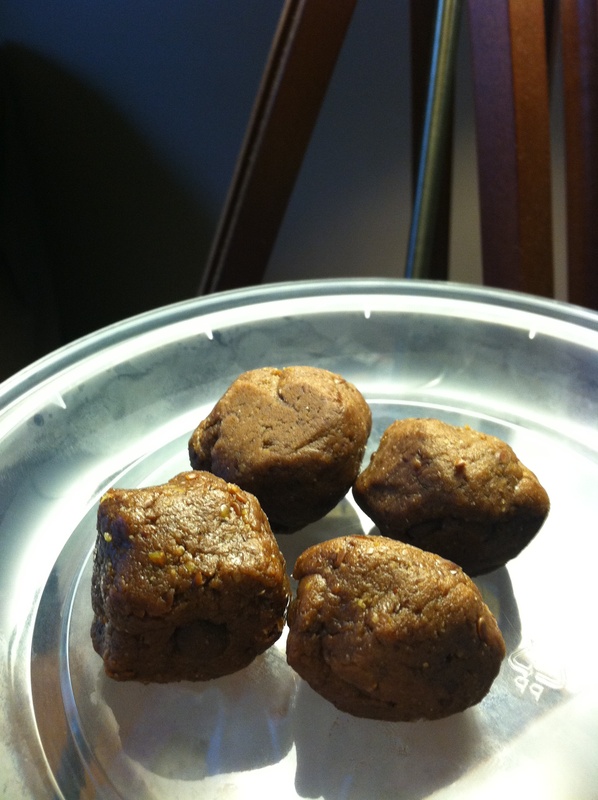 These are peanut butter protein balls…not what they really look like!! 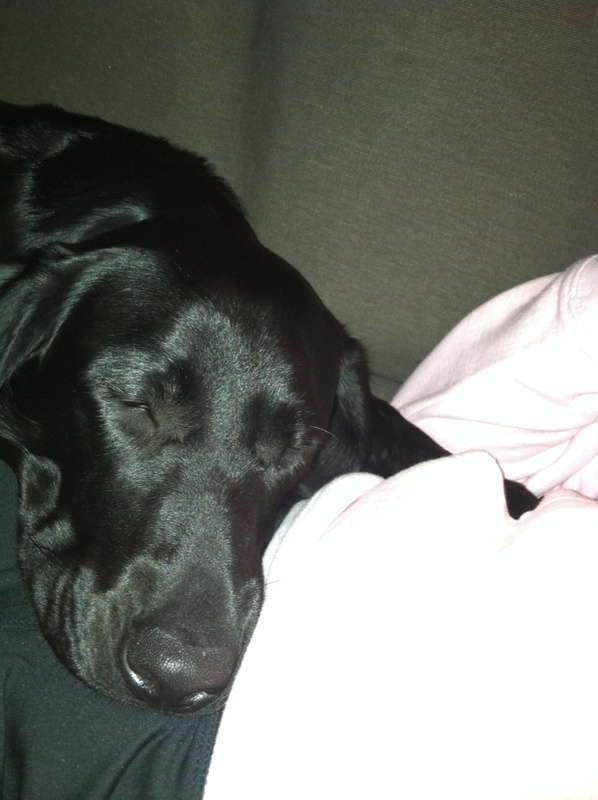 Basil and I cuddling at nap time!! 5. Massage…I try to see a professional massage therapist at least once a month. 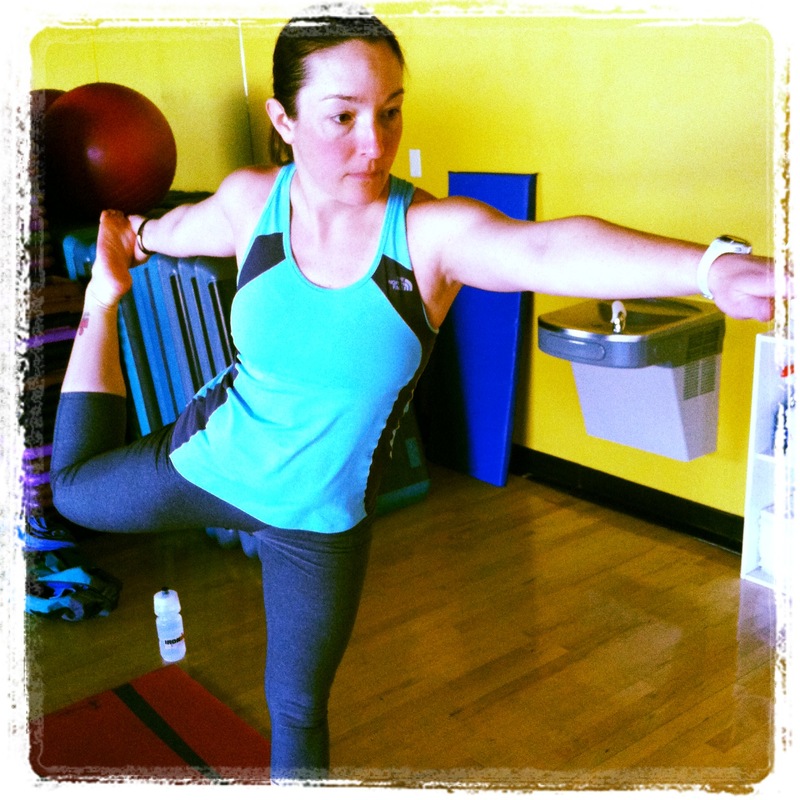 I prefer hot yoga, but sometimes I have to sacrifice and attend regular yoga. What recovery tips and strategies do you incorporate into your training so you can optimize your performance?? ?